Organized by the International Baccalaureate office based in Geneva, Switzerland, the International Baccalaureate (IB* candidate) is a very rigorous academic program with emphasis on academic achievement, critical thinking, research skills and community service. It has been operating worldwide for almost 30 years and is in place in almost 1500 schools in around 120 countries around the world. 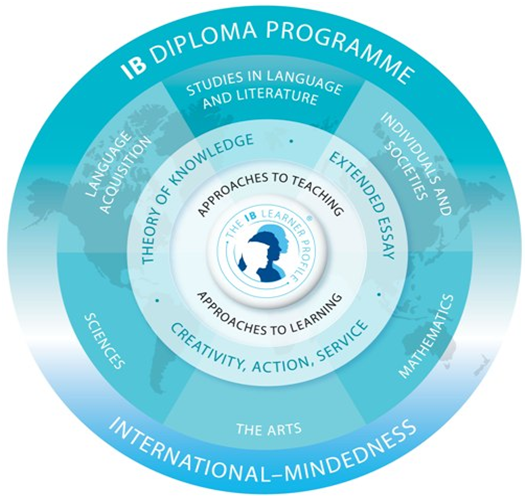 The IB* candidate Diploma is recognized in virtually every country in the world. The great majority of our 11th and 12th-grade students at the Mount Litera School International will be working toward this diploma. The IB* candidate is needed for entry to universities in a number of countries, but other countries are more interested in the scores achieved by the students in Higher Level subjects. High IB* candidate scores result in advanced placement at American universities. All IB* candidate Diploma students must choose three courses at Higher Level [HL] and three courses at Standard Level [SL]. A Total of 45 points may be achieved at IB* candidate Diploma Level, Each of the six group subjects is assessed internally – with external moderation – and externally by examiners around the world and are graded on the IB* candidate 7-point scale. Which when combined with the other three compulsory elements is the highest achievement possible.